This exquisite hand-tied draws on a colour palette of pretty pastels ranging from pale pink and lilac to lavender and cream. It’s a naturally stylish yet informal display that looks particularly feminine – and these stunning roses really add to the luxuriousness of this generous gift. 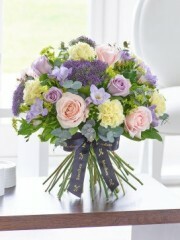 If romance is in the air, this beautifully presented vintage style bouquet is an exquisite gift choice. 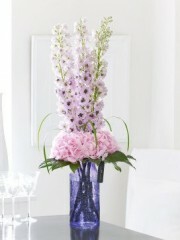 Dusky pink calla lilies mingle with blush cymbidium orchids and the palest pink roses. The overall effect is a magical bouquet that is both glamourous and breathtakingly beautiful. 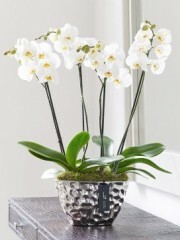 Stonehaven flowers has a selection of luxury arrangements designed by our expert florists. 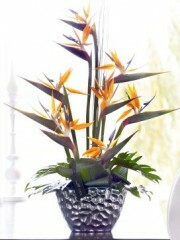 These arrangements include only the best roses, orchids and lilies which are perfect for any occasion. The florists at Stonehaven flowers skilfully blend beautiful colours and shapes to create arrangements that are a delight to behold. 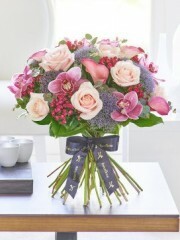 Many of the arrangements that Stonehaven flowers offers are presented in vases which are included in the price of the order so they are perfect when they arrive. The Stonehaven flowers team ensure that only the best flowers are used so the arrangement will look beautiful for a long time. To further ensure the long life of the flowers, Stonehaven flowers are always just a phone call away and are happy to answer any questions you may have about caring for your flowers. Also in this collection, Stonehaven flowers offers non floral products such as candles and champagne gift sets which are perfect for making someone’s evening. At Stonehaven flowers we ensure the freshness of your flowers as we have flowers delivered to us from our suppliers in Holland several times a week. 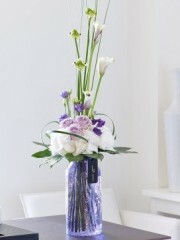 Stonehaven flowers then carefully conditions the flowers on arrival to ensure they are at an uncompromised standard. 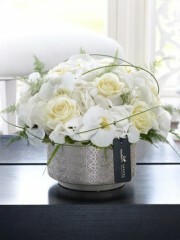 Then the flowers are expertly arranged and beautifully packaged. They are then carefully transported by the Stonehaven delivery team to your selected destination. 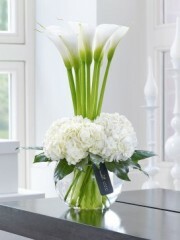 Stonehaven flowers can arrange for your flowers to be delivered anywhere in the UK and in 140 countries worldwide. 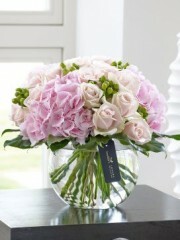 Stonehaven flowers offers same day delivery and delivery within 3 hours if you need flowers in a hurry.